Turkey will deploy air and naval forces to Qatar in addition to ground troops that are already stationed in the country, the Turkish ambassador to Qatar has said. Speaking to reporters in Doha on Wednesday, Ambassador Fikret Ozer said Ankara and Doha would determine the "timeline of the construction of the necessary infrastructure and when these forces will be deployed through talks". The planned deployment is part of an agreement signed between the two countries in 2014. 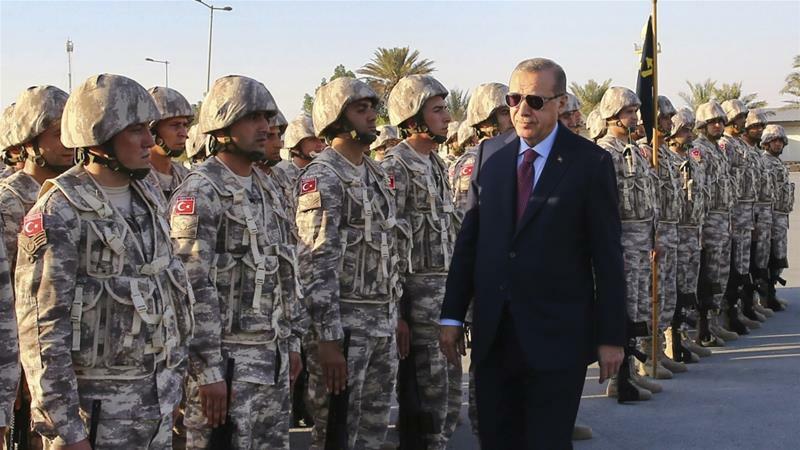 Under the deal, Turkey set up a military camp in Qatar and deployed troops there in 2015. The Tariq bin Ziyad military base south of Doha is Turkey's first such installation in the Middle East. It can accommodate up to 5,000 soldiers. Ozer on Wednesday declined to disclose the number of Turkish forces currently stationed in Qatar. "That information would be disclosed if our Qatari brothers agree to share that," he said. "We are guests here, they are the host". Turkish President Recep Tayyip Erdogan has been a major supporter of Doha since Saudi Arabia, Bahrain, the United Arab Emirates (UAE) and Egypt severed diplomatic and trade relations with Qatar on June 5. The four Arab countries accused Doha of supporting "terrorism" and fostering ties with their regional rival Iran. Qatar denies the accusations. Shortly after the dip lomatic crisis erupted, Turkey's parliament fast-tracked the approval of a separate April 2016 agreement with Qatar on the implementation of troops' deployment to the Turkish military base. Ankara has also been trying to mediate between the opposing sides to find a solution to the crisis.